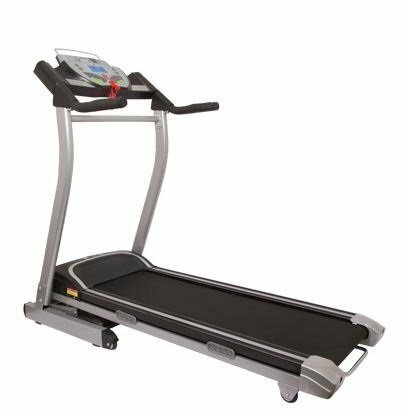 POSTS 1100W Folding Electric Treadmills Reviewed: Which One is the Best For You? Do you want to save some time, space, and money while still getting fit? If so, electric folding treadmills are what you’ve most likely been searching for. The 1100W foldable treadmill range can be tough to navigate through. The market has all kinds of different models available and it can get confusing. That’s why I’ve decided to take out the stress factor for you. I’ve delved deep into the world of folding electric treadmills and analysed some of the popular ones that you may have already been considering. Before making any decisions, it’s best to get more of an in-depth and honest look at the 1100W folding electric treadmill reviews before making any decisions. 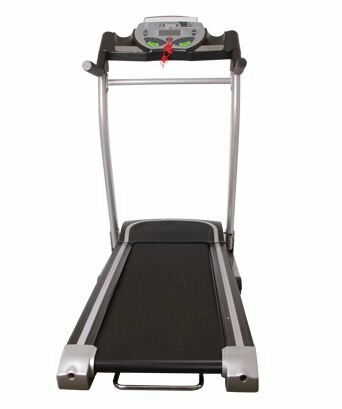 The Goplus 1100W Folding Electric Treadmill is great value for money. So, if you’re on a smaller budget, but looking for something that will still be good enough to get your daily cardio in, this is an awesome choice. However, if you’re able to stretch your budget a little more, this one may disappoint you a little. Due to how affordable this treadmill is, I was surprised to discover the amount of technological workout features it has to offer. There’s a small digital monitor that provides you with details on the time, distance, calories, and speed from your workouts. So, you can see your stats and areas to improve on. The standout workout feature is the interval workout programs – there are 12 in total. This means you can choose from a good selection of workouts to increase the intensity and experience a good variety in your exercise routine. This company know that many people love to watch something while working out to make the time fly quicker, so they installed a simple phone and tablet holder. It securely holds devices to let you watch shows or movies on your devices while working out. You can effortlessly fold this Goplus treadmill and store it away when you’re done. Since you’re using it at home, the ease of this Space Save design is a major plus. There are wheels on the bottom that let you roll the treadmill away into a more suitable space for storage. So, you can roll it out of a cupboard and into a wider space for your workouts. But then you can, just as easily, fold it back up and roll it into storage, where it’s out of the way. Not to mention, the overall construction of this treadmill is compact. So, it’s made for smaller spaces. I liked how the handrails are equipped with controls for the speed settings. It’s an easy way to alter the speed of the treadmill, while also being able to maintain your balance. This is a great benefit if you’re not used to using treadmills. Furthermore, there’s even start/stop buttons installed in the handrails. So, if you need to stop, you don’t have to take your hands off the rails and risk becoming unbalanced. The handrails also have heart rate monitors. These let you easily see your heart rate and whether you need to increase the intensity to burn more calories. The Goplus folding electric treadmill, unfortunately, doesn’t have any incline settings. This is likely one of the major reasons as to why it’s so affordable. I love having incline settings when I use treadmills to change up the workouts. If I’m running, I keep it flat. However, if I want to jog, I’ll raise the incline to make it more challenging. This Goplus treadmill doesn’t offer that variety. The fact there’s no incline settings may be enough to put many people off, regardless of how great the rest of the features are and how affordable it is. The AW 1100W Folding Electric Treadmill is another, seemingly, lower-end option. So how does it compare to the Goplus 1100W? Well, it holds up pretty good! The AW 1100W folding electric treadmill comes with a great LCD display. This shows you information on your heart rate, distance travelled, time, speed, and calories burned. The multi-function uses of this display are excellent for evaluating your workouts and progressing. I felt a little let down that there were only three workout programs included. However, if you’re just going to be using it for basic cardio, you most likely don’t need a huge variety. The speed can be easily adjusted from as low as 1-10 kph. Similarly to the Goplus, the AW is built with an amazing space saving design. You’re able to fold the treadmill up and take advantage of the wheels to move it to a more suitable place for storage, free of hassle. So, the folding and storing features of the AW 1100W treadmill are up to standard. Is There an Incline Setting? The AW folding electric treadmill is not built with any incline settings. So, again, it’s probably best for those looking to perform some basic cardio to generally get fitter and lose weight. And for those purposes, you have everything you need, at a great price too. However, like I mentioned before, many people (including myself) like having the incline option available. All in all, when you consider how affordable this treadmill is, and how good it can be for people simply trying to get fit, the lack of incline features may be easier to overlook. The Confidence TXI folding electric treadmill is the last and most expensive one in this review. Right off the bat, we found the incline settings available with this TXI folding treadmill to be a big draw. For me, I know having an incline setting is worth paying more for. However, is this benefit alone enough to warrant a higher cost than the previous two? Let’s see what the Confidence TXI has to offer you. I instantly noticed the higher price means you receive a few more tech features to play with as you exercise. There are built in speakers with an input that lets you connect different devices to listen to music. For some, this will be a useful feature, but for others, you may be just fine with listening to music through earphones. The LED display is back-lit and larger in size. It clearly shows you all the information you need, such as your heart rate, calories burned, distance, and time traveled. The Confidence TXI folding treadmill comes with incline settings. You can take advantage of easy-to-use controls to raise the incline by up to 12%. This makes it a better option if you’re looking to jog or walk. The incline feature means the workout is harder and you’ll burn more calories. Many people looking to get fit and lose weight like having different options, which is what the incline features of the TXI offer. There are also multiple workout programs that are synced with the treadmills. As a result, it can automatically increase the incline and configure the speed settings for you. The side rails are padded for comfort and to help keep you stable. They have controls built-in that let you change the speed and incline settings while still being able to hold on and maintain your balance. Again, the higher price means slight upgrades to some of the features on the previous two treadmills – and this is the case for the folding features. 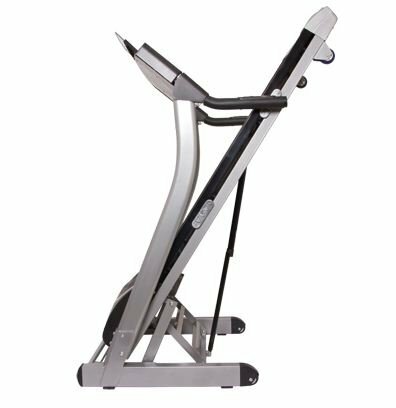 The Confidence TXI uses a hydraulic system to make folding the treadmill up as easy as possible. You can then store it away once you’re done so it doesn’t take up your living space. It seems like people have had a little trouble putting the Confidence TXI treadmill together. Some customers have even gone as far as to get outside installers to assemble it for them. 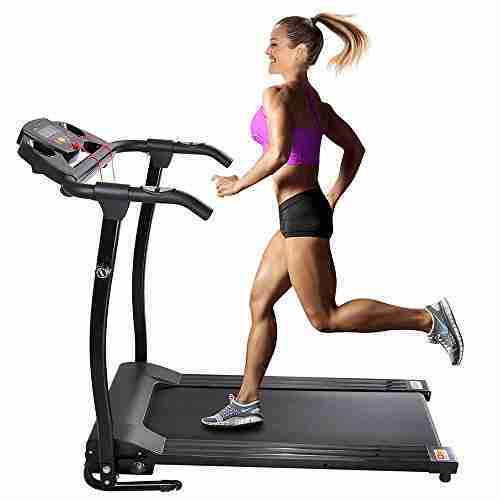 Many people want a treadmill they can easily set-up and begin using straight away. Well, the Confidence TXI may take a little more effort to assemble, but once it is, you’ll find the construction is durable and remains sturdy. It’s a heavy-duty machine built to last, but at a higher price. The Goplus and AW electric folding treadmills are among some of the most affordable ones available. They are awesome if you’re simply looking for a treadmill to help you get fitter and lose weight on a budget. However, if you’re more serious about working out and want more features to enhance your experience, the Confidence TXI treadmill may be best suited for you. But it comes at more of a cost. Would you make use of the incline settings? If so, I’d recommend going with the Confidence TXI. However, if you’re on a lower budget, and just want a simple, but effective flat treadmill, the AW or Goplus are fantastic options. Hopefully, I’ve provided you with more insight into what some of the 1100W treadmills have to offer you. All three of the ones I’ve detailed above are great for saving space, as well as time and money on going to the gym and paying for memberships. It comes down to you to decide which one is best for your needs.